This lavender is non-bleeding and has light muted purple tone. In white bases it appears pastel. Water, Ultramarine Purple, Propylene Glycol, Diazolidinyl Urea, Methylparaben. COMMENTS: First time using this product and it worked excellent color the job perfectly with no separation and I did not need a whole lot to get the effect I wanted. • It did not separate in anyway. COMMENTS: First I am putting same review for the Matte Black as well as I the same bad results. The sample bottle is Horrible! It comes separated pigment to liquid base, which is probably why it doesnt take in my Water based product I tried to color... it just sinks to the bottom even after stirring, heating, any method I have tried. Will Not buy again and glad I only lost money on samples. COMMENTS: I must say, I was confused about this product. My own ignorance, I was not using it correctly at first. Thank you WSP for all your help clearing it up for me. A little does go along way. It gives me more control on how light or dark I want. COMMENTS: I really love this color. My only issue I have with it is that no matter how much I mix it into my soap base I end up with little bits of color that settle to the bottom of my mold. "LOVE ALL OF THE LIQUID COLORANTS!" COMMENTS: I use the liquid colorants for many of my soap projects. I have never been disappointed! I will continue to use these. "Love this!!! Turned out beautiful "
COMMENTS: Such a pretty color!!! COMMENTS: I love the color. It is beautiful in my lavender soap. COMMENTS: I used this liquid color in my CP Soap and they color turned out light but it was pretty. I usually use powder and accidently ordered liquid. I was disappointed when I saw it but it worked great. COMMENTS: This is a very pretty color, easy to use. COMMENTS: It's a nice color but man you sure do need to use alot of it to color the soap. I was told to get this and the plue to make a blueberry color. I will try an different way. COMMENTS: I use this for my lavender and black raspberry soaps. Gorgeous. COMMENTS: This is great coloring for my lavender soap. Unfortunately, it does have little pieces of color in it that aren't fully dissolved so I have to mix it with some soap, pour it in a mold, take it out and cut off the top layer and then use it as a color bar, in order to remove all the stuff that settles out. I love the color - just wish it mixed better with the soap. COMMENTS: The intense shade of lavender I wanted to achieve seemed to require a large quantity of this liquid concentrate. It may be too soon to tell as I am new to soaping, but I believe my preference will be for the powdered colorants as opposed to the liquids. Will give this another try. COMMENTS: This is a wonderful pigment that is so easy to work with! Will be purchasing again! COMMENTS: This pigment is a great color. I got it because my daughter is always asking for "purple". It was much lighter than I expected (of course Lavender usually is a lighter tone). One a pound of soap I gave six plus drops of Lavender pigment. And compared it to another one pound batch where I mix 1 drop blue and 2 drops red. The Lavender was probably 2-3 times lighter. Its been great to use with my Lavender fragrance as it was undoubtedly intended--but not necessarily a replacement for purple as I should have suspected. COMMENTS: This works wonderfully for opaque colors in M&P. very pretty color. "Beautiful lilac color in my soaps"
COMMENTS: This pigment is so very pretty when added to my melt and pour soaps. It comes out more of a lilac color which is beautiful for my soaps to sell in my Easter line! COMMENTS: Blended in well, didn't effect trace, and really did a nice job deepening up by blue to a lovely indigo. 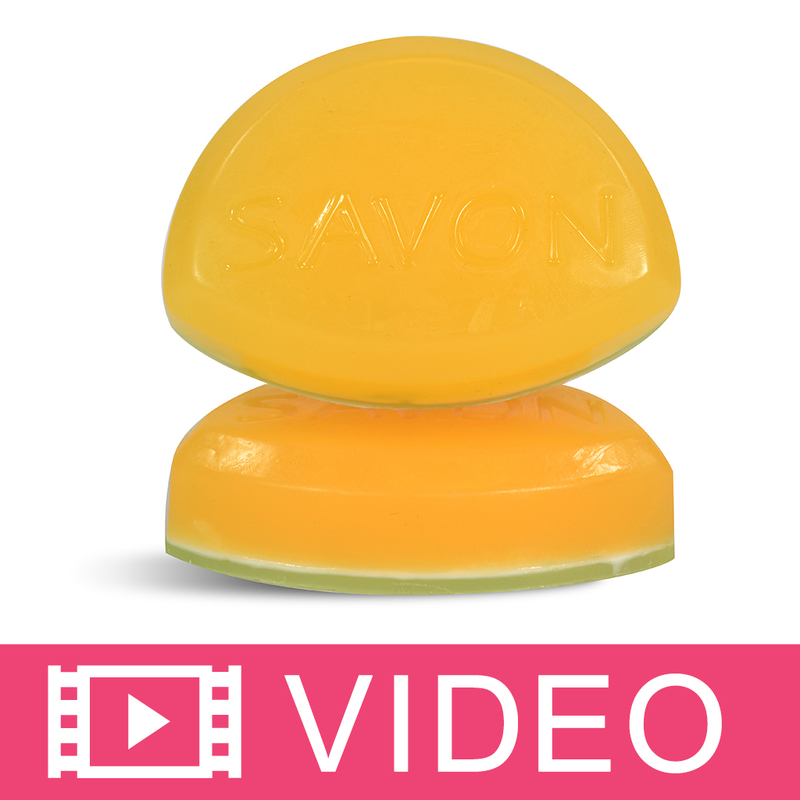 COMMENTS: This is a gorgeous color for MP clear soap bases. It's not overpowering like some colors can be. COMMENTS: Gives a nice light colour. Do need lots of drop for a deeper colour. Found it hard to colour soap based that have its own colour, like the aloe soap base. COMMENTS: I used this in clear M&P for embeds. I also used it in white M&P for a softer lavender color. Perfect for Lavender scented soap. COMMENTS: I used this in CP Lavender Soap. I couldn't get a deep color in the soap. I got the pretty pastel color in the soap. It was in a slab mold and I squeezed a few color lines straight from the top and did a chopstick design. So I had gorgeus dark purple on top and the pastel in it. It looks great. Just look at the melt n pour pastel example and that is the color you probably will get for CP. They are great to keep around for decorating the soap tops. After curing the color lines on top did not bleed. COMMENTS: This is a great product. Easy to use and produces a nice color in both cleat and opaque bases. COMMENTS: Used in white base, made a lovely lavender tone. Very nice. 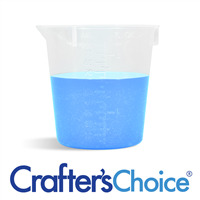 "Crafters Choice Matte Lavender Liquid Pigment"
COMMENTS: I love the solid color when I added it to my melt and pour soap base. It is vibrant and fluid without being lumpy or fading. Fabulous color! "I should have stuck with what works"
COMMENTS: I switched to the liquid to make things easier on me. I soaped cold and the color morphed to a pale gray within and hour. The lavender pigment powder worked great for me, and stayed true, so I should have just stuck to it, but I thought the liquid would be easier on me. COMMENTS: Love this pigment, it stays true to color in cold process soaps, and so far has not morphed unexpectantly. Depending on the size of the batch, quite a bit is necessary for a deep color, but if a light shade of lavender is what you are looking for, this pigment is a great choice. It is really easy to use. Wish I could afford to buy the extra large size, but then I might get too generous ... it's too good to waste it. COMMENTS: This gives a very pretty color to your soaps. "another win for my first order "
COMMENTS: I like this color alot. Used it with a lavender essential oil in white and clear. I was expecting my clear to go more translucent to opaque but it didn't. It stayed transparent which I prefer. Will reorder. Had to add more than I thought but maybe bc it's already diluted? I'm happy with it anyway for the price. COMMENTS: I love the liquid base colors. They are easiest to use and this is a nice purple and you don't have to use much. "Tried to use in castile foaming soap "
COMMENTS: I tried to use this in castile foaming soap and it was a fail. It may have been my fault and that this was not the best choice to use for colorant. 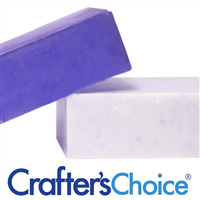 COMMENTS: I love the lavender color, its perfect for my lavender soap, great color and mixes well. COMMENTS: I used this in MP soap. I used nearly half the bottle for only about a couple oz of soap and the color was still way too light. Not a fan. COMMENTS: This is the perfect shade of lavender. It's not light and it's not dark...just a perfect shade of lavender. COMMENTS: I added a few drops to y MP soap base and it gave a nice light swirly color. COMMENTS: A little goes a long way! Beautiful color! "Received as a sample - I'll stick with powdered"
COMMENTS: I received this product as a free sample and used it for light swirls in cold process and hot process soap. The color was light, but did color the soap. I prefer to have more control over my colorants and the oils I'm mixing them with. I'll stick with the powdered oxides, ultramarines, and micas. COMMENTS: Used in my cp soap & body wash worked very well. And is easy to use. COMMENTS: This creates a magnificent color, easy to use, and overall a great product! COMMENTS: I use this in M&P soap when I just want a light soft lavender tint. I use it with td and it turns out nice a creamy. I've not been able to get a deep lavender color. WSP Response: When used in clear bases, the color will not remain transparent. A pastel color is produced in opaque (white) bases. COMMENTS: I like powder pigments better than this for their ease of use. It seems hard to get out of bottle. (I have a sample size which could be the reason for the difficulty) I wish it mixed in MP soap a little better. COMMENTS: I tried to use in my sugar scrubs, but I did not like. It took a ton of color to even get a slight hue of purple. I don't know if I did something wrong. The end result was more gray. I definitely recommend the lavender oxide powder. "Have to use way too much"
COMMENTS: It seems like I have to use A LOT of this to even start to see a lavender color. Once I finally get the color I want, it comes out blotchy. I'd rather mix blue and red to get purple. This one seems to be pretty disappointing. WSP Response: When using the liquid, be sure to stir it well before using. This may have caused the blotches. Also, if adding to white soap, more color may need to be used to get a darker color. When added to a clear base, the color will be a darker purple. COMMENTS: Mixes great in my soap. COMMENTS: I know it said liquid color but I was hoping it was a little thicker than it was. The other thing I do not like is the way it settles at the bottom of my lotion after I don't stir it. I am not sure why that is happening. I did like it in my sugar scrub and liquid castile soap. • Make it thicker so it doesn't settle. 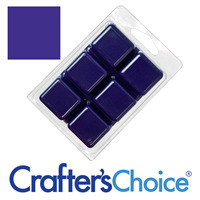 COMMENTS: This is a wonderful way to color any soap if you're looking for a purple hue. Because there are so few natural colorants that would net this result, it's a great alternative! COMMENTS: Purples are so difficult to create, but this pigment is just lovely. 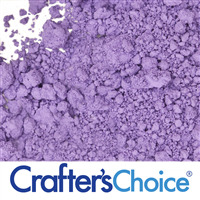 "Crafters Choice™ Matte Lavender Liquid Pigment"
COMMENTS: Love this. Wish I had got it sooner. I don't use liquid much anymore but this is perfect for lotions. COMMENTS: Easy to use and works well! COMMENTS: I ordered this as part of a sample pack when I was learning to make cp soap. I also ordered the powdered pigments. While this product worked fine, I prefer the powdered pigments. The color is very pretty. COMMENTS: I really like this color, a good purple/ lavender color is hard to find. I have tried so many and I am finally happy with the one. Thanks WSP for saving me time and money. "Pretty, but other colors arrived coagulated." COMMENTS: I ordered seven different 5ml sample size bottles of the liquid pigment. Out of these seven, only two are usable and will actually come out of the bottle - the other four arrived totally coagulated. They require brute strength to get out the tiniest drop - my poor hands and fingers are aching now! Even after attempting to use a needle to see if I could clear out the opening and giving the vials a good shake in case of ingredient separation, I can't get more than a drop out per minute of intense squeezing. If I'd known the sample sizes were going to be this difficult to use, I would have just paid more for the 2oz versions without bothering to test the product first. I'm giving this color (Lavender) a good rating because it's one of the two that actually came out of the bottle when I squeezed it! If you want to buy these colors, DON'T get the sample size! "Matte Lavender Liquid Pigment "
COMMENTS: I have this product in both the powder and liquid form - I now prefer the liquid! It is so much easier to work with and the color does not fade in the liquid form as I have had some trouble with in the powder. The color is bright and perfect for your pastel purple/lavender soaps! COMMENTS: it doesn't morph in CP, but in a white base M&P you may need to use quite a bit to get a good purple color! COMMENTS: Frankly, I don't need lavender very often, but when I do this one is it! "Very Good! But do not get on clothes." COMMENTS: This is a great color additive, but trust me - spilling a bottle of this on a shirt is NOT a good combination! Keep this for products only. COMMENTS: Only a little color is needed to get the color we want. Love it. COMMENTS: I really like the lavender color, it is perfect! COMMENTS: I make 100 percent goat milk soaps, thankful that this holds up in true color. "Lovely color easy to use"
COMMENTS: Really like how the color turned out in my CP soap. Used it to make some Melt & Pour embeds and turned out great as well. Very easy to use and like thatI can control how dark/light I want my soap. Will be getting more for my Easter soaps. "nice in cold process "
COMMENTS: I got this as a free gift i use it in cold process soap colors very nice. Soap came out a nice light lavender color. Will buy more. COMMENTS: I loved this lab color. You can easily go from a light to a dark shade and it doesn't interfere with the quality of your soap. I will buy again. COMMENTS: love this color!! Looks like a purple you would use in a stain glass window!! COMMENTS: So easy to use. Worked great in my m&p easter eggs. COMMENTS: Works great in my melt and pour projects. COMMENTS: Deep rich purple in clear base, and lovely soft purple when used in a white base. "One of the ingredients for this pigment is an ultramarine. Is this really bath safe? I'd like to use it for bath bombs, but not if it could be harmful and I thought ultramarines were not bath soaking safe?" Staff Answer You are correct. This is not approved for bath water. We have corrected the information for this liquid coloring. Thank you for bringing this to our attention. "Is this colorant good for use in shower gel? Will it turn silvery like another one I've tried?" Staff Answer You can use this color in shower gel. This should not change color in your product. "Are the liquid pigments suitable for face mask or face scrubs? If not what pigment is best for face products?" Staff Answer We would not recommend using any color in your face mask or scrubs. The face is a more sensitive area and may be especially sensitive to colorant. You can use a colored clay in your mask that would add color or if you really want a color, add a very light-colored mica powder to your product. "I've previously only used powders as a colorant. Can these be used in bath bombs? If so, do they leave any staining on the tub?" Staff Answer You can use Liquid Pigments to color bath fizzies. If your recipe has any added oils or butters it may make your bath water more greasy when the fizzie dissolves, possibly causing the color to stick to the tub. "Can this be used in Cold Process soap making? If so at which step do you add it? Into the melted oils or at trace when you add the essential oils?" Staff Answer Yes, the Liquid Pigments can be used in CP/HP/CPOP soap. Colorants are best used when added at trace. "Can I use this with foaming bath whip?" I love using these in foaming bath whip! start out with a little at first and add until you have reached your intended color! good luck! Yes. Start with a few drops and add more until you reach your desired color.